Welcome to this month’s Blogorail Red Loop. 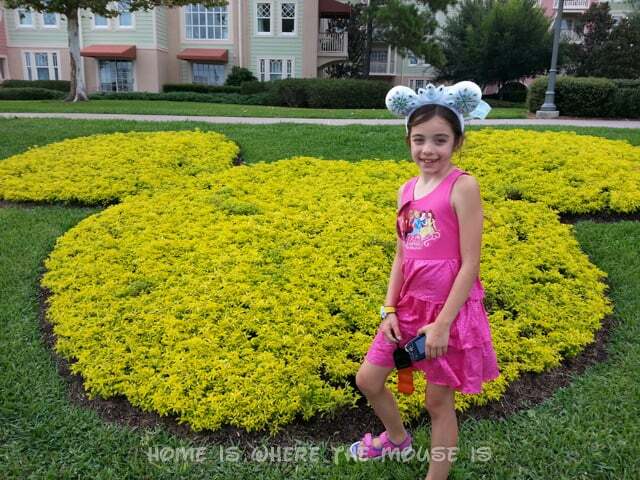 Today we are sharing ideas to add a little Disney to your yard. One of the things I love about Disney is the incredible theming of the parks and resorts. No matter where you are, one constant element of design that’s being used to create the look they’re going for is the landscaping. The first thing that comes to mind are the Disney characters sculptures. Some of my favorites are the small character statues in the gardens in front of Cinderella Castle in Walt Disney World’s Magic Kingdom theme park. After all, there’s no rule that says gardens or landscapes have to be entirely designed with plants! 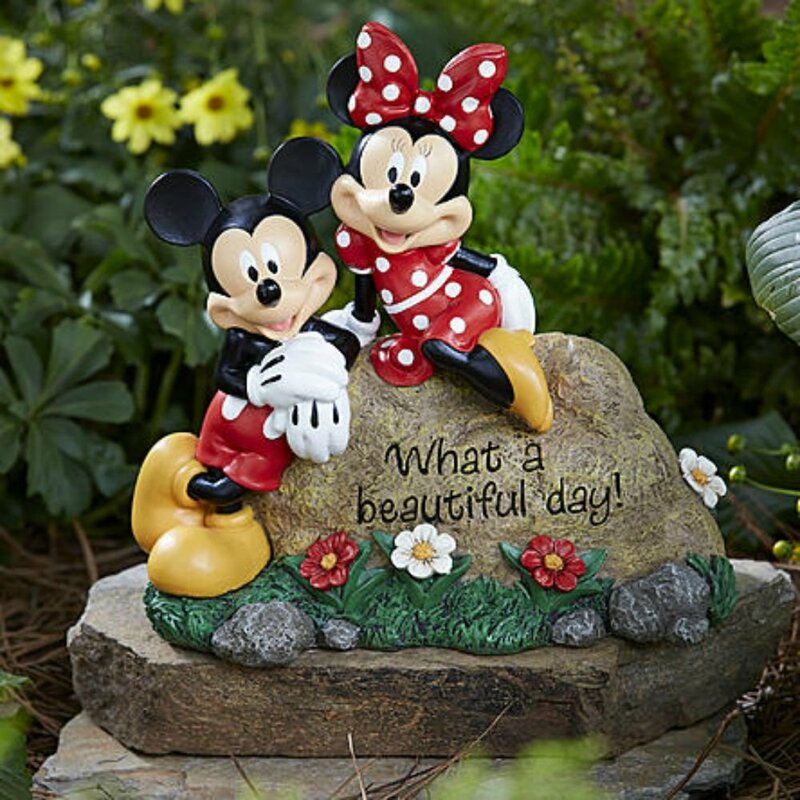 These statues add a little character and personality to a beautiful garden area! So, where do you get them? There are plenty of decorations featuring Disney characters online and possibly in a store near you. 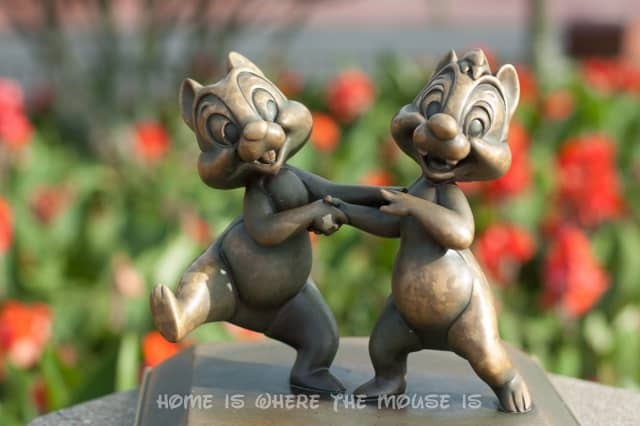 This is probably the easiest way to add some Disney character to your landscaping. One store near me that always has a selection of Disney garden and yard stuff is Kmart/Sears. We have a small Winnie the Pooh decoration that we purchased there, but you really have to look to spot it in our garden, so placement is definitely important. I’ve always been amazed at how Disney uses flowers to create either pictures or designs, such as the Mickey Mouse at the entrance to Magic Kingdom. They can design flags, shapes, or anything they want using beds of flowers. While it seems simple enough to create your own “floral mural” at home, be sure to plan it out ahead on paper to help figure out how many plants of each color you will need. You may find that you need to replace some to keep the design if any should get damaged or die. 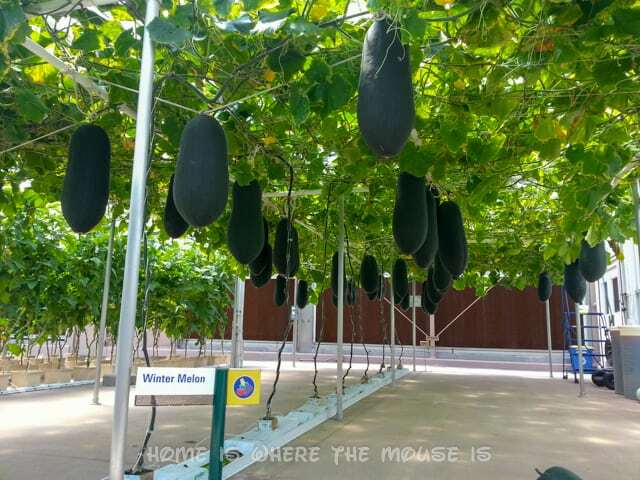 Because of this, Disney grows plants and trees at other locations. If needed, they use those as replacements. As an alternative, you can use colored mulch and rocks to help create your design so you are not relying totally on plants. Disney is famous for its “Hidden Mickeys”. 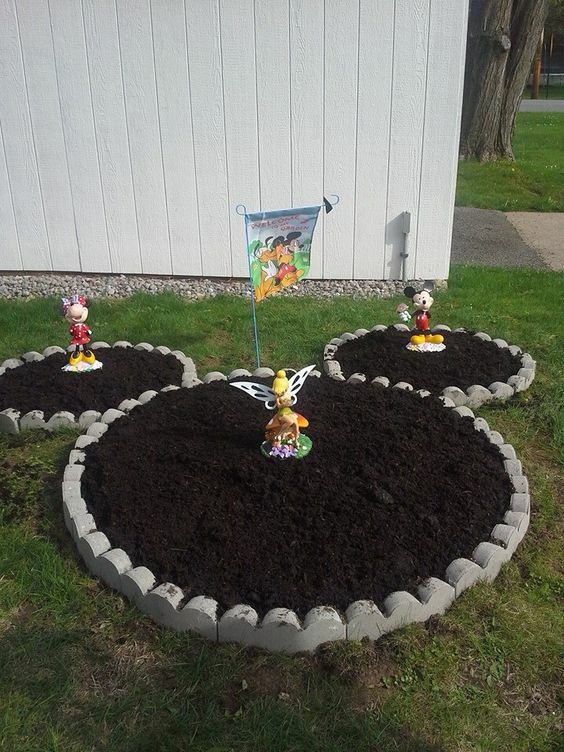 Creating your own Hidden Mickeys is a great way to add a more subtle touch of Disney in your yard. The great thing about the Hidden Mickey idea is that it also allows you to go with a non-Disney theme. A simple rustic theme could incorporate wagon wheels to create your Hidden Mickey. A nautical theme could use rope. Here are some other ways to put a Hidden Mickey into your landscape. Disney emphasizes a love of nature on a world-wide level through the Disney Conservation Fund and a close working relationship with the National Wildlife Federation. At home, we can take a similar page out of Disney’s book by making our yard a Wildlife Habitat. It doesn’t have to be as elaborate as an exhibit in a zoo or Disney’s Animal Kingdom. Sustainable Practices: How you manage your garden can have an effect on the health of the soil, air, water and habitat for native wildlife as well as the human community. Disney signs are another favorite detail of ours. They are often uniquely themed to blend in with the landscape, becoming decorate and fun, as well as informative. 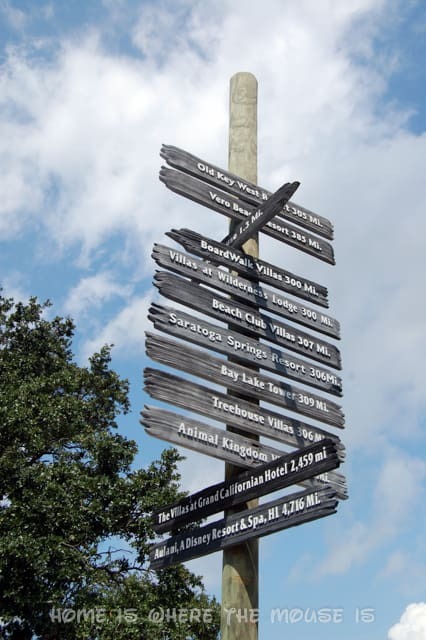 Lisa and I were discussing how we’d love to have a sign that points out how far it is to each of the DVC resorts. We’ve seen these signs at the Disney beach resorts. 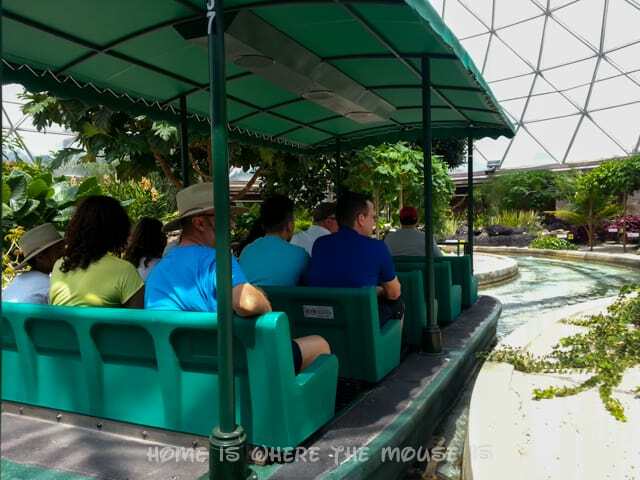 It’s a way we can connect our home to our “homes away from home” in the Disney Vacation Club. This is a great idea because it’s something we can make ourselves. 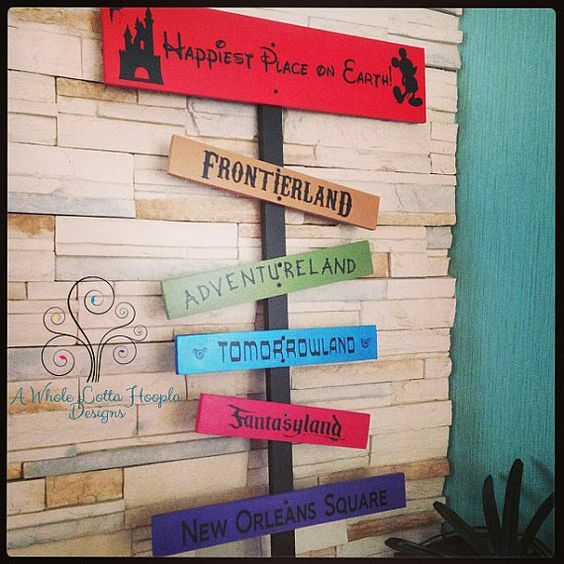 If you aren’t feeling handy, you can buy ready-made Disney-inspired signs from both Disney and online sellers like Etsy. You could even find someone to create a custom sign just for you. 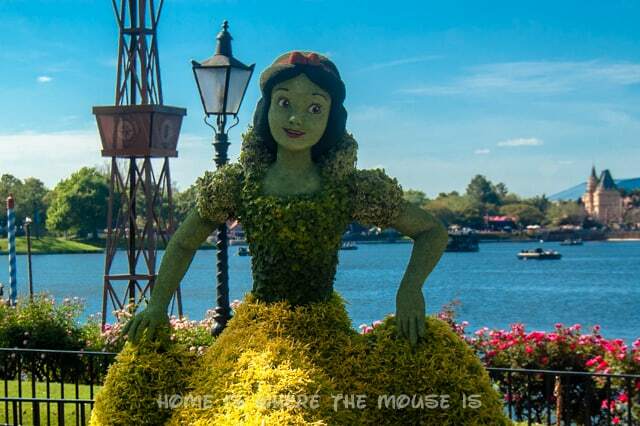 Disney is famous for its topiary displays, which bring our favorite characters to life in its gardens. This one of Snow White is one of my favorites because it has so much detail. I don’t think I could pull something like this off, but a character outline would certainly be do-able. 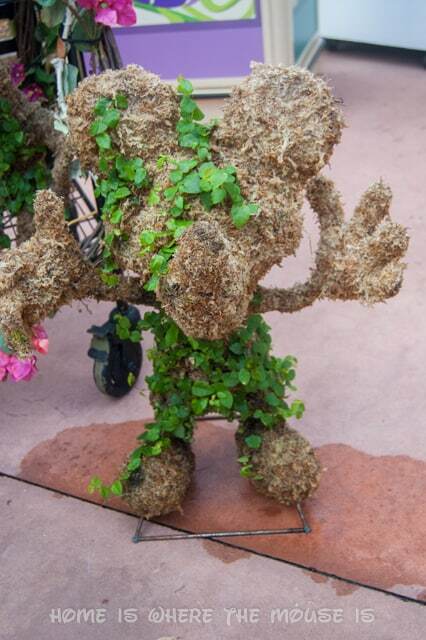 At the Epcot International Flower & Garden Festival, we did see some Mickey topiary sculptures that you could buy and place in your garden. It was a bit pricey, plus could you picture me trying to carry this on the plane?? 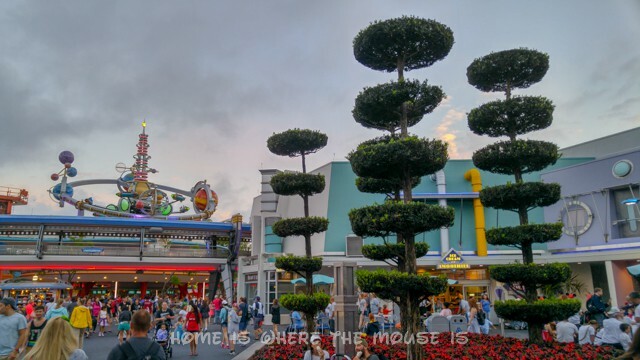 Making your own topiary from scratch is not that difficult, especially if you stick to easy shapes, like trimming trees or bushes like these tress in Tomorrowland. If you’re feeling ambitious, you can create your own wire frame design and fill it with moss as the base for growing your own topiary. Looking at this makes me wonder if an old wireframe from a christmas decoration could be used as a starting point. Cover with chicken wire, and you’ve got yourself a mold!! (I’m pretty much thinking out loud here). I definitely want to try this because I’ve got some wire frame deer in my garage. Styrofoam may not hold up over time outdoors, but we could choose materials that would do better in an outdoor landscape for a permanent fake topiary addition. Nestled between the Germany and Italy pavilions in Epcot’s World Showcase is a model train display with a path you can walk that goes right through the middle of it. It’s awesome!! That would be something to have in your yard!! 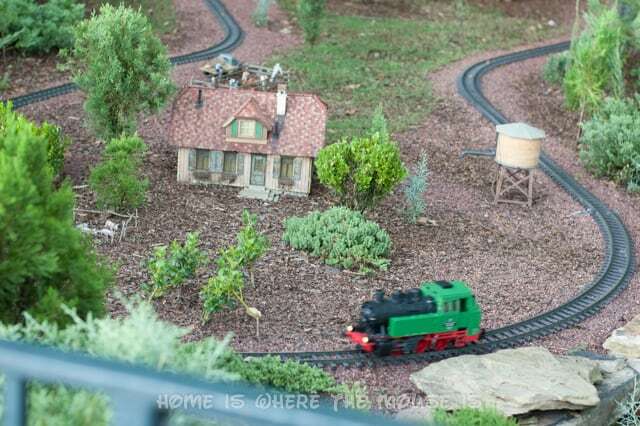 A quick Google search provides some impressive results where people turned their entire yards into model train sets!! Ours certainly doesn’t have to be as elaborate as some of these, and we probably wouldn’t have it running 24/7. But working a small model of a street or town into a landscape can add a fun touch. It could even double as a play space and be a way to get the kids involved in creating a fun landscape. 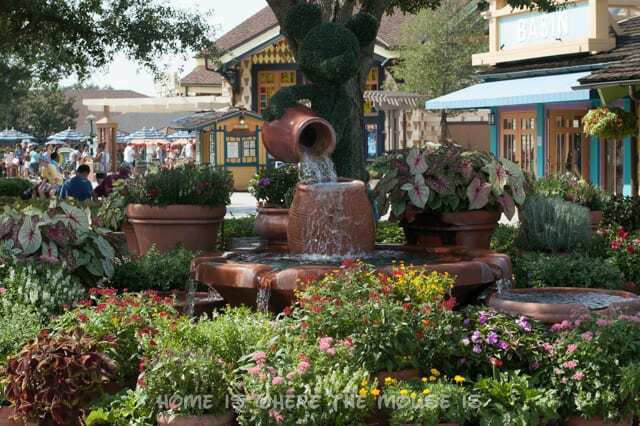 Another aspect of Disney’s landscaping is the use of water. Ponds, Rivers, fountains, etc., are all used to help create the theme of a resort or area of a park. Often, these landscapes will include many of the other elements we have talked about, and then use water to take it to the next level. Installing a water feature as part of your yard’s landscape can be as simple as purchasing something from a store or online and placing it where you like and surrounding it with plants. Keep in mind that if you need a pump to circulate the water, then you’ll need electricity too. 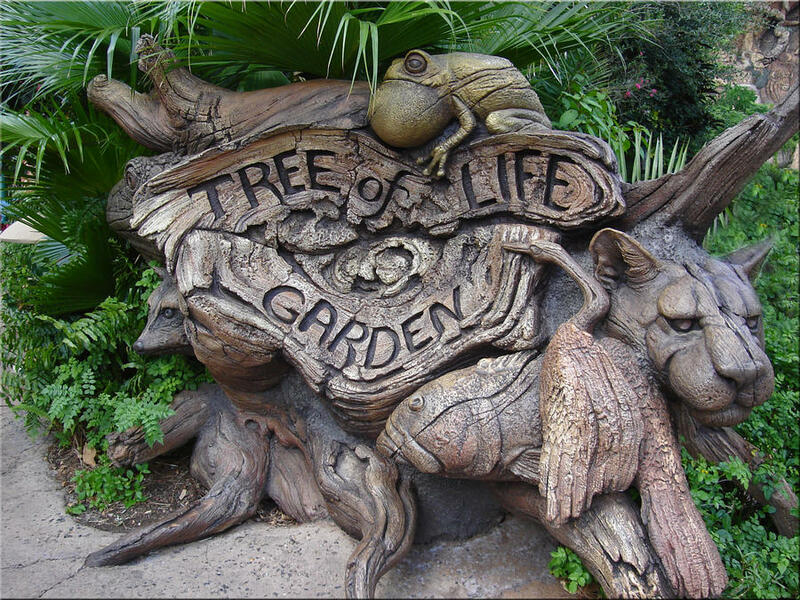 A bird bath, adorned with Disney characters would not only add a touch of character, but would also satisfy one of the requirements to be a certified wildlife habitat. 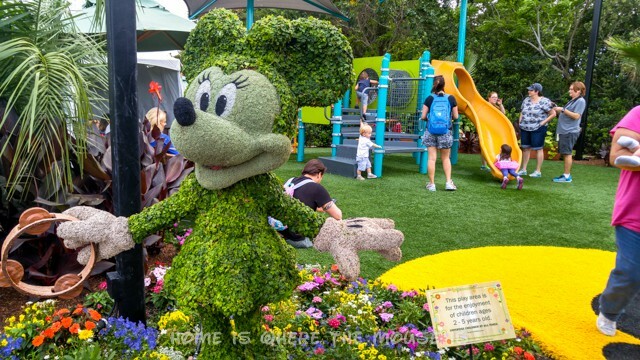 Recent visits to the Epcot International Flower & Garden Festival have shown us that it’s possible to have a play area that works as a garden area as well. This is perfect since we have kids! After discussing it with Bella and Jackson, we’ve decided to try and turn part of our yard into a Star Wars themed play garden. It will be inspired by the planet of Endor and feature an Ewok village treehouse. Stay tuned for our progress on that!! 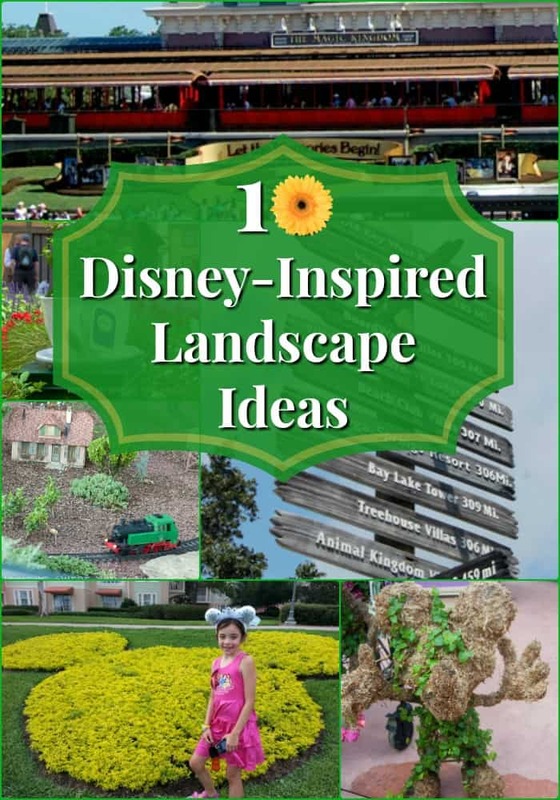 Lisa loves growing vegetables in our yard, so we need to include some Disney-inspired ideas for vegetable gardens. Living With the Land, an attraction at the Land Pavilion in Epcot, showcases the innovative ways that Disney grows its crops. Of all the amazing techniques we see along the ride, we’d love to steal their ideas saving space, such as growing foods vertically. It’s all about making the most use of the space we have. Adding Character: A Mickey Mouse statue for the front yard to welcome guests. He could also be “dressed up” for the holidays. 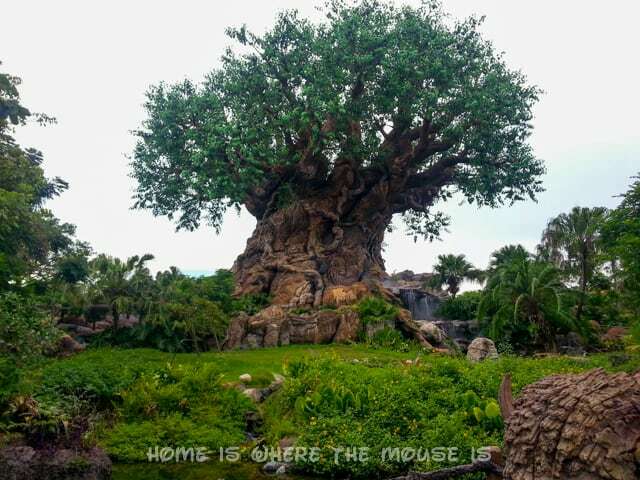 Hidden Mickey: We’d like to do one of those Mickey-shaped flower beds around the tree in our front yard. Wildlife Habitat: Our butterfly bush needs more water, cover, and more plants to support caterpillars and butterflies. Signs: Creating our Disney Vacation Club Resort Sign for the backyard. 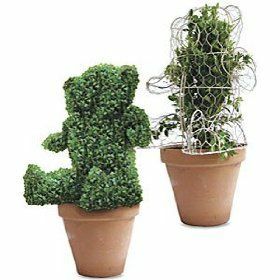 Topiary: I want to take a wireframe and create my own topiary. I have some old Christmas decorations that may work. Railroad: I’m probably not going to do a full railroad, but leaning towards doing a village garden with roads for the kids to play with. Water Feature: I’ve always wanted the sounds of water bubbling and flowing in the yard. I think a small pool and fountain is in order. Play Garden: The Star Wars inspired Treehouse. That’s going to be the biggest project. Living with the Land: Relocating our current vegetable garden for more sunlight, and incorporating vertical techniques. I think that as we tackle each of these tasks, we’ll come back to this post and update with a picture, as well as do a full write up on the process from start to finish. Stay tuned for those!! 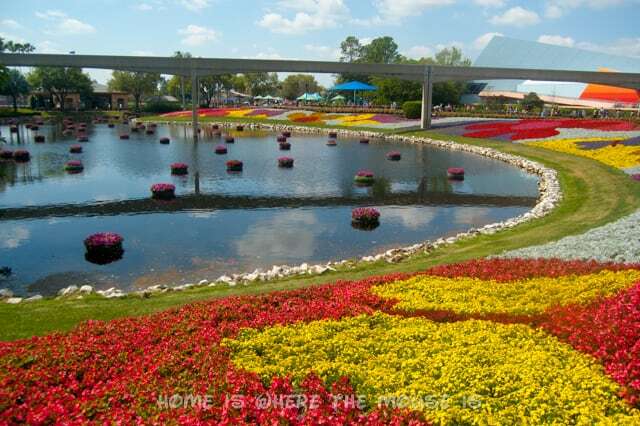 If you could steal any one landscape from a Disney park or resort to put in your yard, which would you choose?? Let us know by leaving a comment, or tweet us @homeisthemouse! Fun! We can never get enough Disney!